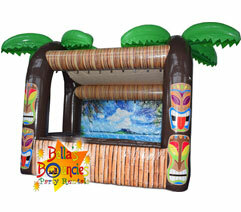 Family owned and operated out of Lake County, IL, Bella's Bouncies is Chicagoland's premier, full-service party rental company. 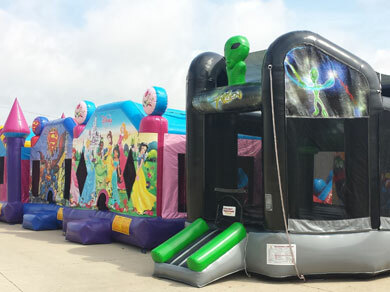 Whether you're celebrating a birthday in your backyard or planning a large corporate event, we have the latest, safest and cleanest equipment in the area with rates that are affordable and competitive. 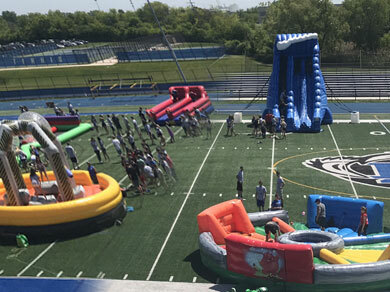 Our vast inventory of party rentals includes moonwalks, water slides, concession/fun food items, obstacle courses, photo booths, character trackless train, dunk tanks, mechanical bull, rock wall, Euro Bungee and much more. And there's no need to shop elsewhere for party supplies because we also offer tents tables & chairs, party favors balloon art and face painting services. Check out our "Package Deals" that can be customized to fit your needs. Bella's! - Four Great Options, One Great Company! Planning a party? You're in the right spot! Click below to check out what we have to offer for your next party or event! 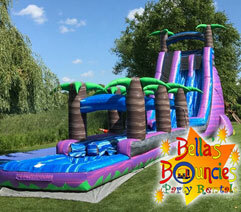 Bella's Bouncies is fully insured and licensed in the state of Illinois. We deliver to more than 100 cities! 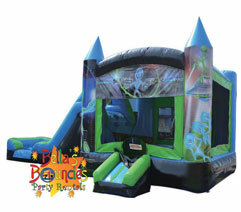 Bella's Bouncies Indoors is a family fun center with moonwalks, slides, obstacle courses, and a crawl-thru climb. We have open jump play times, as well as, private and open jump parties. Climate controlled party rooms. The newest addition to the Bella's entertainment group; Skate On Grand. Our Indoor Roller Skating facility provides you with the ultimate entertainment experience. Open Skating, Private Parties, Games and so much more! 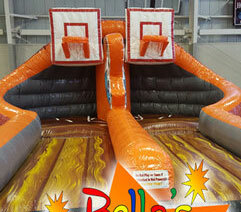 Bella's Bouncies has added another new Jump Center located in Volo Illinois. 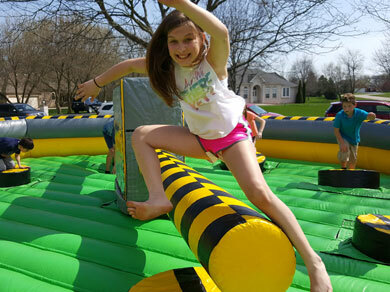 It's loaded with exciting inflatable fun, like bouncers, and a giant obstacle course. Reserve private party rooms, games and so much more! 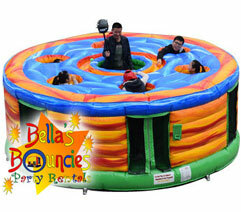 Bella's Bouncies offers discounts for school and church events. With one call, you can connect to one of our experienced event planners who can help you with ideas and equipment recommendations. Get exactly what you need, on budget! Here's your ticket to the most Etreme Rides at Bella's Bouncies. Exciting attractions like our new 24ft Rock Climbing wall, and the adrenaline rush of the Euro Bungy. 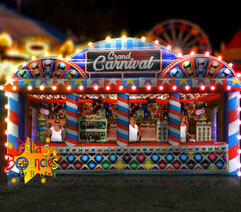 Add one this awesome rides to your event and pump up the fun! 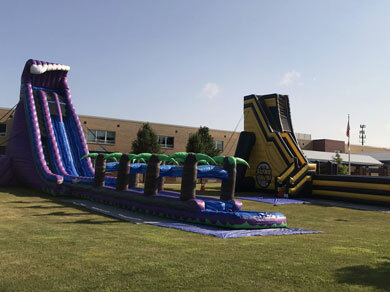 Water Slides make the perfect centerpiece attraction at any event, and Bella's has the best selection and variety of water slide rental in Chicagoland. 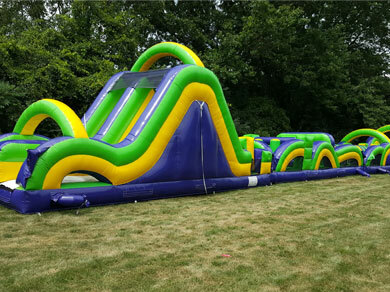 Like this 27ft Blue Crush with it's dual lane slip & slide makes a big statement. 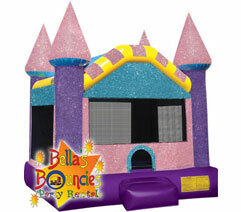 Bounce houses are truly an American favorite attraction and you'll find only the best at Bellas. All of our moonwalks come equipped with an entrance ramp (safety step) even if not pictured. Most of our moonwalks come with a basketball hoop. Get your group ready for a wild and crazy day when you get lined up to take on the one of these exciting challenge course. 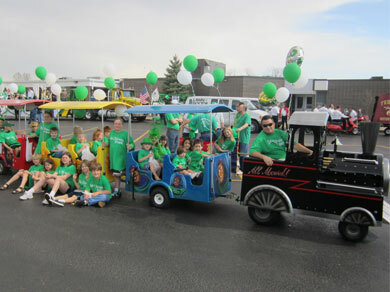 With high throughput, they're perfect for large events. Great for schools and church group fundraisers too!